About - Marin Hollins: Marin Hollins was born in East Islip, New York, daughter of H.B. Hollins, a well-to-do Wall Street broker and owner of H.B. Hollins & Co. Hollins is known as both an athlete and as a golf course developer, one of the only known female golf course developers in history. She won the 1921U.S. Women's Amateur among many other amateur wins. She was the captain of the first U.S. Curtis Cup team in 1932. In her time she helped developed three world class golf courses: The Women's National Golf and Tennis Club,Cypress Point Club and Pasatiempo Golf Club. 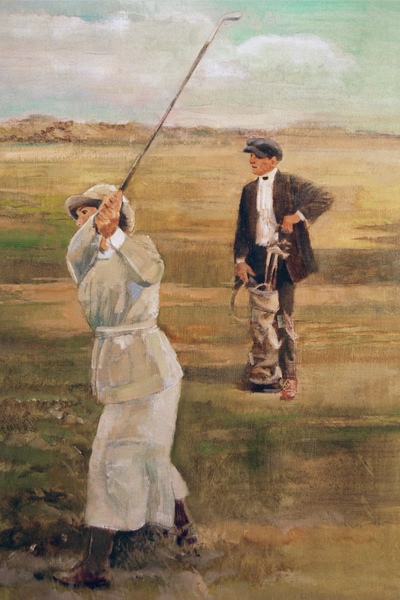 Marion was responsible for hiring Alister MacKenzie to design Cypress Point and Pasatiempo; she was ultimately the reason Bobby Jones hired MacKenzie to design Augusta National Golf Club.